Washington (AFP) - The US Air Force had to abort a test flight Tuesday of an unarmed intercontinental ballistic missile after it developed an "anomaly," officials said. 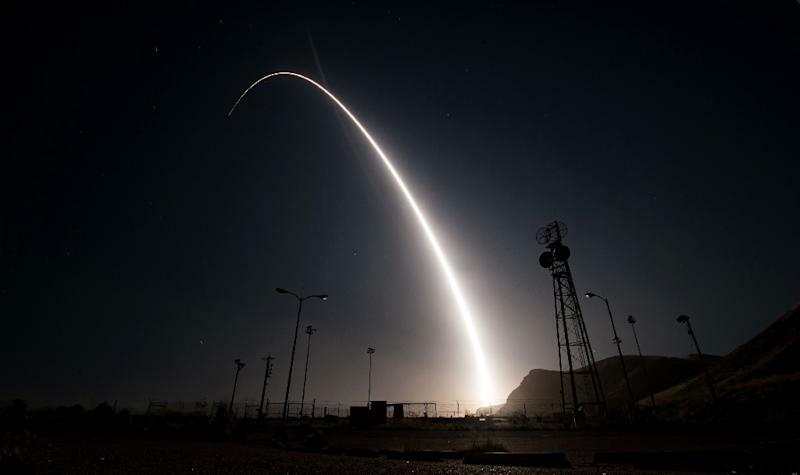 The flight of the Minuteman III missile, which launched from Vandenberg Air Force Base in California, was safely terminated over the Pacific Ocean at 4:42 am (1142 GMT). Officials are forming a "launch analysis group" to determine what caused the anomaly. "An anomaly is any unexpected event during the test. Since anomalies may arise from many factors relating to the operational platform itself, or the test equipment, careful analysis is needed to identify the cause," Air Force Global Strike Command said in a statement. Personnel at Vandenberg routinely carry out tests of Minuteman missiles, and the launches are often planned years in advance. Decades after the Cold War, the United States still fields hundreds of Minuteman III ICBMs, dotted in silos across rural America. Over the next 20 years, the Air Force will switch out the entirety of its Minuteman III fleet with a new missile known currently known as the Ground Based Strategic Deterrent (GBSD).